Fall foliage in Dover, New Hampshire; photo by Kimberly Vardeman (kimberlykv) on Flickr (use permitted with attribution). 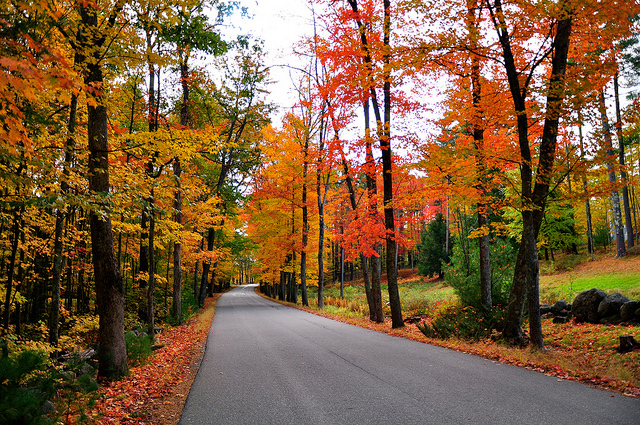 New Hampshire designated Autumn in New Hampshire by Leo Austin as an official honorary state song in 1977. It's AUTUMN IN NEW HAMPSHIRE. turning their leaves from green to gold. the sum-er's gone so let it be.